If you have a complaint about a product or service or you want to use your right of withdrawal? When you order as a consumer (not applicable to business or commercial customers) have placed an order but the specific product or service has not yet been received, you may at any time terminate the contract. You can do this by sending an email to: customerservice@sandenshop.com, after we receive your withdrawal request, within 2 working days we will confirm the cancellation of your order. If you already paid for your order, supply us with your bankaccount information so we can refund directly. If you've received item(s) and you don't want to keep them for any reason or you want to change the item(s), fill out the exchanges and returns form on our website and return the goods within 14 days to us and we'll give you a full refund for the cost of the item(s) (not applicable to business or commercial customers). Returned goods must be unused and in a saleable condition. Once we've received them back, we will process the refund. 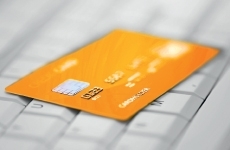 Don't forget to supply us with your bankaccount infomation. For questions please contact our Customer Service. Our staff will gladly assist you. 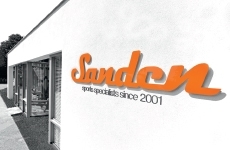 trading under the name / names: Sanden Sports Superstores B.V.
Home | Customerservice > Not satisfied?